The school nurse works with all students, teachers, and parents to promote good health and well-being. 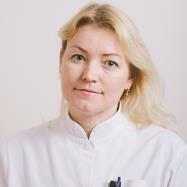 Our school nurse service is provided by Terviseõde OÜ, and the nurse is Viktoria Kukk. The school nurse’s reception is at Majaka 2, and is open on Fridays from at 9.00-12.00.